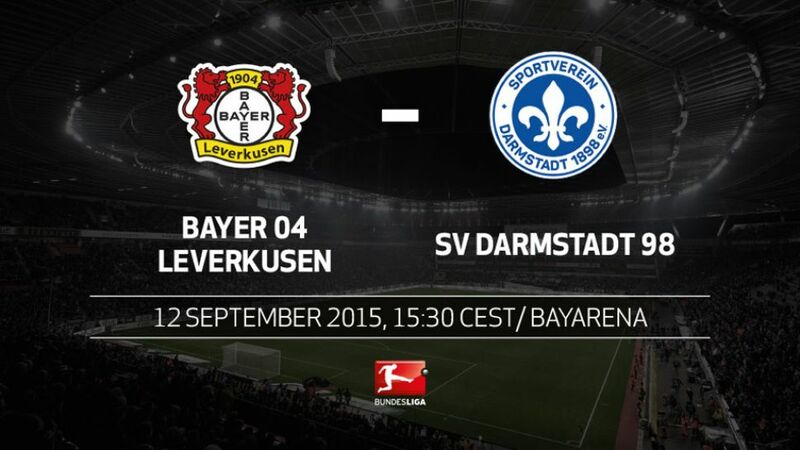 Leverkusen - Bayer 04 Leverkusen are out to bounce back to winning ways when they play host to unbeaten newly-promoted outfit SV Darmstadt 98, a side they've never lost against in Germany's top flight. Die Werkself's perfect start to the season came undone in spectacular fashion before the winter break as a 3-0 humbling at the hands of FC Bayern München put Roger Schmidt's side firmly in their place. Three points will be seen as a must for the hosts, but are by no means a forgone conclusion against Darmstadt, who set a new club record by going their first three games of the season without defeat, albeit by sharing the spoils on all three occasions. bundesliga.com has the pre-match skinny ahead of the clash at the BayArena. Bayer 04's 3-0 defeat to FC Bayern was the biggest losing margin Leverkusen have suffered in a competitive fixture under Roger Schmidt.Since the dramatic 5-4 loss to VfL Wolfsburg on 14 Feburary, Leverkusen have conceded just once in 11 competitive homes games. Darmstadt went the entirety of the 2014/15 Bundesliga 2 campaign without ever conceding more than twice on foreign soil. They managed to stretch that run against Schalke (1-1 draw), but can they do the same against Bayer 04?Die Lilien are set to face teams competing in European competition in five of their next seven lead encounters (Leverkusen, FC Bayern, Borussia Dortmund, FC Augsburg and VfL Wolfsburg).Stefan Kießling has scored against 16 of the 18 sides currently in the Bundesliga. He's yet to score against either of the newly-promoted sides, FC Ingolstadt 04 or Darmstadt.This weekend's encounter is a clash between the youngest side and the oldest. The average age of Leverkusen' starting line-up this season has been 24.5 years old, while Darmstadt's has been 27.7 years old.